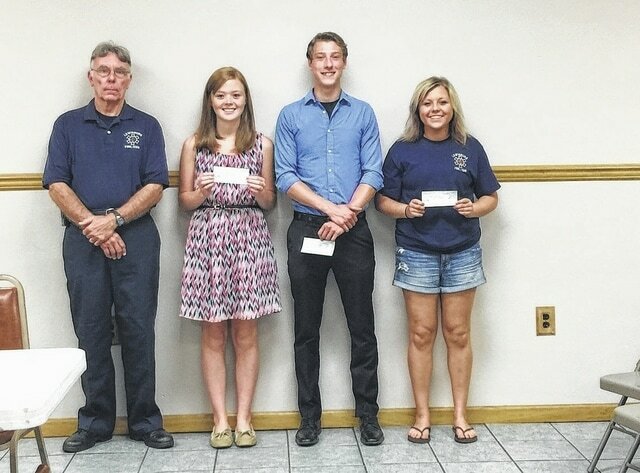 LEWISBURG — The June 18 meeting of the Village of Lewisburg Council was highlighted by an awards ceremony for several Tri-County North High School graduates. The Lewisburg Emergency Unit Simone Hobbs Memorial Scholarships were awarded to three students who will be continuing their studies in a medically related field. Three scholarships were awarded this year to one winner and two runners-up. The first place award $500 was given to Allie Kring. Kring has stated her desire to get her degree in nursing. She will also be attending the Ohio Fire Academy in the fall to pursue her fire service certifications. One runner-up award was given to Austin Hammaker. He will receive $250. Hammaker will be entering college this fall beginning his pursuit of becoming a physician. Caitlin Braughton is the recipient of the other runner-up award. Braughton has made her choice of attending Sinclair Community College to pursue a degree in nursing. She will also receive $250. The Lewisburg Emergency wishes these three individuals much good luck and wishes them well in their future endeavors.